Self-love expert and creator of the Earn Your Happy podcast shares the methods she used to build her own tribe and grow from an anxiety-ridden, unhealthy, introverted underachiever to a confident woman who takes risks and leaps out of her comfort zone—complete with a foreword from #1 New York Times bestselling author Gabrielle Bernstein. The benefits of a having a tribe are undeniable. Women who have strong social circles are living longer, happier, healthier lives in comparison to those who lack connections and are exhausting themselves trying to quench external desires in isolation. 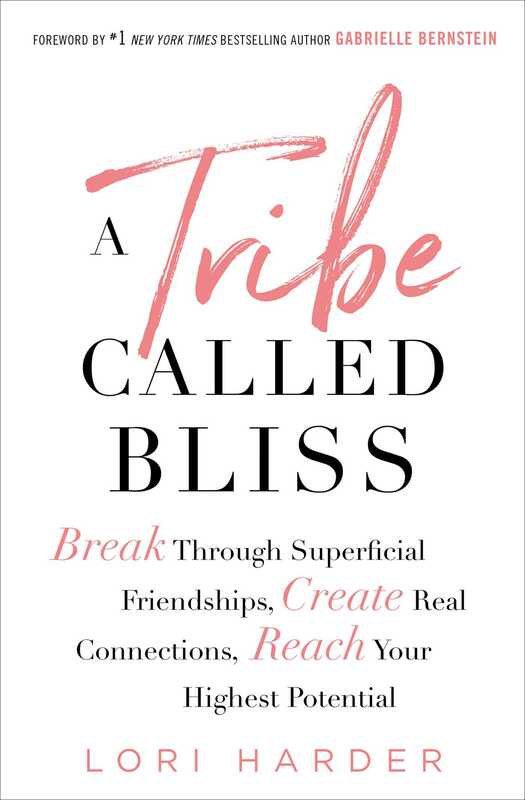 In A Tribe Called Bliss Lori Harder bridges the gap between inspiration and action, providing a lasting resource for positive change and a guidebook for establishing a support tribe. With crucial and fascinating lessons and contextual self-work exercises, this is the ultimate guidebook to discover the key to a lifetime of blissful happiness.